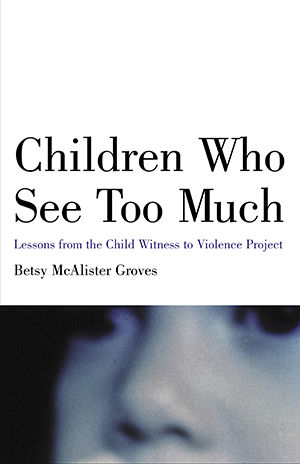 For the last ten years Betsy Groves has been working with children traumatized by witnessing violence. In this book she shows how children understand, respond to, and are affected by violence, especially domestic violence. Groves makes the powerful case that traumatic events carried out by family members carry the most severe psychological risks for very young children. She uses clinical case studies to show that being young does not protect against the lasting effects of witnessing violence, and she offers ways adults can help. “This is a valuable book to alert parents and therapists to the pain that children go through after witnessing violence. It is so timely now after the horrors we have experienced in New York City. These children are all the more vulnerable to other kinds of violence.” -T. Berry Brazelton, M.D.